Have you ever wondered how DST began? DST ends tomorrow at 2AM. Nashville and most of the United States have enjoyed an hour of extra daylight since this past spring. On November 5th, however, that will come to an end, as Daylight Savings Time (DST) officially ends for this year. 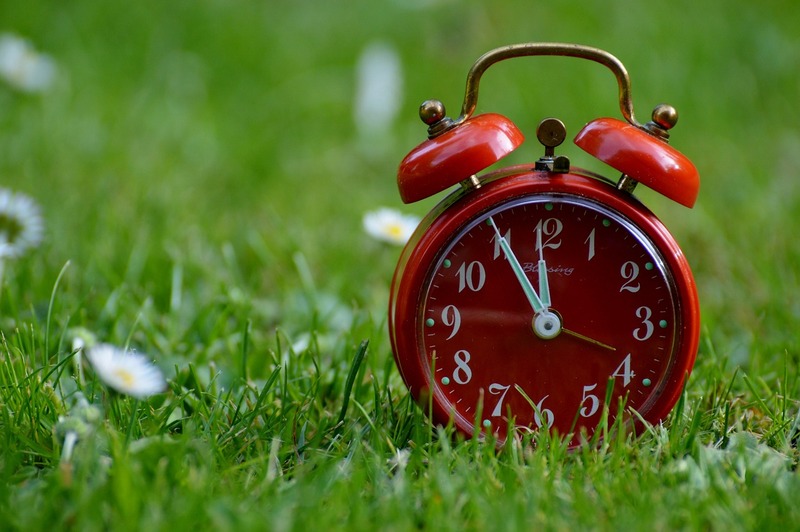 The annual ritual of setting our clocks forward in the spring, and back again come fall, is something many of us take for granted but have you ever wondered how DST began? Benjamin Franklin takes the credit for the idea of DST. Yes, this is the same Ben Franklin pictured on our $100 bill and who also invented the lightning rod and bifocal glasses among creating some of the most successful and popular inventions of the modern world. His idea for coming up with the idea to reset clocks in the summer months was a way to conserve energy. By moving clocks forward, people could take advantage of the extra evening daylight rather than wasting energy on lighting. At the time, Franklin was serving as ambassador to Paris and wrote a letter to the Journal of Paris in 1784, rejoicing at his discovery that the sun provides light as soon as it rises. The practice of DST was not put to use until more than a century later when Germany began using the idea in 1916 as a way to conserve fuel during WWI. The rest of Europe quickly followed suit with the practice and in 1918 the US adopted the concept. Although President Wilson wanted to keep DST after the war ended, its practice was not embraced by all. Farmers objected to the practice citing that they would lose an hour of light in the morning. Since the US was mostly rural during this era, the practice stagnated. It was not until the next war (WWII), that the practice of DST was re-established. Following the end of WWII, states and towns were given the choice of whether to observe DST — which led to chaos. To curb the chaos, Congress enacted the Uniform Time Act in 1966. This meant protocol must be followed in which daylight saving time would begin on the first Sunday of April and end on the last Sunday of October. Then, in 2007, the Energy Policy Act of 2005 went into effect, expanding the length of daylight saving time to the present timing. Less than 40% of countries throughout the world observe DST. Most of the United States and Canada observe DST on the same dates. But there are exceptions. Hawaii and Arizona are the two states that don’t observe daylight saving time, though Navajo Nation, in northeastern Arizona, does follow DST, according to NASA. LED lights are energy efficient, long-lasting and more sustainable than other lighting genres. The primary reason for the practice of DST has long been energy savings. Brighter evenings are said to save on lighting. However, as lighting has become super efficient in recent years, it has become a smaller element of energy consumption than it was just a few decades ago. The practice of moving an hour of sunlight from the early morning, when many would sleep through it, to the evening, when you could most likely do more with the light, and vice versa, opens up a doorway of possibilities for us to get things done. Whether it is work or school related, we have grown accustomed to having an extra hour of morning light illuminating our travel to work or school in the fall and winter months. On the opposite side of the coin, we also enjoy an extra hour of afternoon light in the spring and summer to partake in outdoor living activities. With DST in mind, How much time will you spend this evening programming your outdoor lighting for daylight savings time? There will be multiple devices throughout your home and landscape that will require adjustment to correspond with the time and light change. Outdoor Lighting Perspectives of Nashville can make sure your outdoor lighting timer isn’t one of them. Our timers use LCA technology that automatically adjusts to facilitate the change for daylight savings time and provides automation that you will enjoy every day. It simplifies your outdoor lighting by giving you effortless control of your home’s indoor and outdoor lighting and other powered features. Our smart timer can do more than simply turn on selected lights at dusk. It can also control your indoor and outdoor electric outlets. David G. Todd, Outdoor Lighting Perspectives of Nashville. We are the pros when it comes to automating your lighting needs for more convenient days and beautiful evenings. 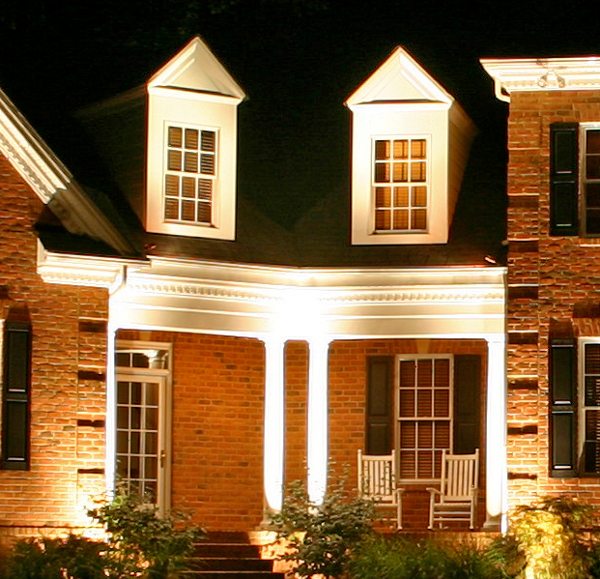 To learn more contact Outdoor Lighting Perspectives of Nashville today. You can call us at (615) 373 – 0638, or email us at olpnashville@outdoorlights.com. It’s almost time to “spring forward” — is your outdoor lighting timer up to the task? Daylight savings time begins March 6th! Sunday, March 6th marks the official onset of Daylight Savings Time where it’s time to “spring forward” and move the clocks up one hour. At this point the days start to get longer and dawn comes earlier and the evenings remain brighter for longer time. Of course this also throws many outdoor lighting timers for a loop as most on older systems are manually changed. Most homeowners have to dig out their manuals and figure out which dials and buttons to press to update their timers and get it straight with the change in time. It’s pretty annoying isn’t it? Our LCA lighting timer delivers on the promise of set it and forget it. 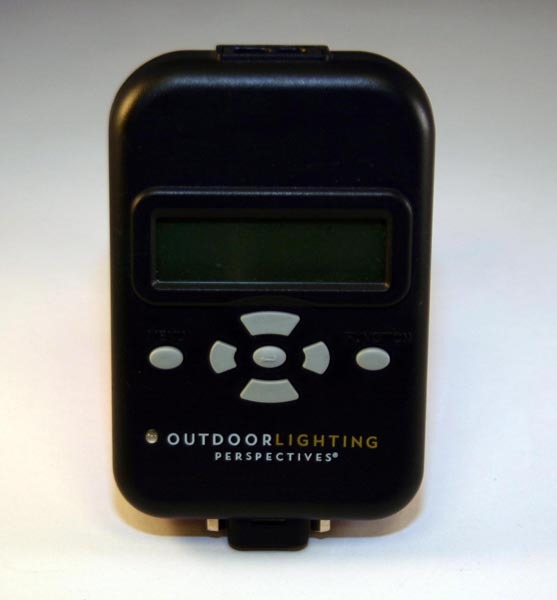 At Outdoor Lighting Perspectives of Nashville, we can help you either reset your existing timer OR we can install a newer technology-based timer that will accommodate for daylight changes on its very own! What a relief to not have to fiddle or worry about your timer anymore. Every new system we install has a timer so that our customers can freely customize how their lights go and off at any time of day or night based on their personal needs. The flexibility our timers provide gives you lots of options and also removes the burden of remembering when to turn your lights on or off. This facet naturally increases the safety and security at your home and grounds and adds lots of practicality, too. Our timers make it look like your home is lived in even if no one is there even if you are at work or on vacation. Would-be thieves will always know your house is lived in even if you aren’t there. Cumbersome manual timers require that you remember to reset them as the days grow longer or shorter during the seasons. Our timers are controlled by Lighting Control Automation (LCA) that requires no additional support or demands from you since they automatically update themselves based on your time zone and available light. You can forget digging out the manual and trying to figure out how to program your timer every couple of months to accommodate the daylight changes in your area. Simply set your LCA timer to whatever your lifestyle needs are and then it does the rest. LCA timers even save you money because your lights are on only when you want them to be, so you aren’t paying a light bill for illumination during hours that it’s not necessary. Control your lighting with your smartphone, network your lights!!! LCA timers can be as simple as you want and you never have to worry about them again; OR if you enjoy a high level of control with technical devices, you can really have fun setting your timer for an ultra-enhanced lighting mood. Aside from controlling when your lights go on and off, highly adaptable LCA’s can even be set to regulate how much light is put out by your outdoor landscape system. You can start off at a lower power level earlier in the evening and then go to 100% power as the darker part of night comes. You can even control your indoor lights and even appliances with this same timer if that’s what you’d like to do. Best of all, you can do this and even make changes to your lighting all from a mobile device such as your smartphone or your computer no matter where in the world you are! Neat! Daylight Savings Time on November 1st Creates Challenge for Average Landscape Timers. Go Automatic for Ease! With daylight savings time less than a few months away on November 1st, you can expect your evenings to start to darken fairly early as the countdown to autumn begins. We advise our clients that right now is a good time to start to adjust their outdoor lighting to accommodate the need for earlier outdoor illumination so you can make sure that you and your family do not come home to a dark home, including the kids who may be rolling off the school bus in late afternoon. At Outdoor Lighting Perspectives of Nashville, we install a timer on every one of our systems. Clients can choose to have their lights on from dusk to dawn or any configuration of hours they choose. The benefit that timers provide is that the homeowner doesn’t have to think about turning their outdoor lighting on or off and it provides safety and security around the property as well. The beauty of timers is that you can adjust them to how you live, your hours and make it appear like someone is always home. There are two types of timers—manual ones that you have to set to make the necessary changes or those managed by Lighting Control Automation (LCA). These super convenient timers are a mega improvement over outdated manual timers because they automatically adjust to daylight savings time changes. You don’t even have to think about dials or buttons or figuring out how to re-reprogram it to the proper time. No matter what your lifestyle, a LCA timer can be easily adapted to suit your needs—even if you have to leave work really early in the morning and need additional light or walk the dog before bed time. An LCA timer provides additional light exactly when you need it. LCA’s are great if you travel often or have a vacation home that you are not frequently at, as you can control the lighting to make it appear as if someone is always home to deter thieves. And as the days get longer or shorter, these timers simply change to acclimate to the light conditions of the season. LCA’s make your outdoor lighting system easy and effortless to manage without having to get involved with annoying programming. Since they can control lighting to a very precise degree, they also save you money on the power bill since you don’t need to waste lighting during times you simply don’t need it. LCA’s are so cool and adaptable that you can even set your lights to come at 50% power earlier in the evening and then gradually get brighter as night wears on. This feature not only saves energy, but it also adds great ambiance in your landscape. There is so much beyond just outdoor lights that you can do, including controlling your indoor lights and appliances to come on automatically as well. The convenience that this type of automation provides is pretty revolutionary. And the fact that you control all these facets directly from your smart phone or laptop just makes adding a service like this a no-brainer. It doesn’t matter where you are, you can control or change the system as needed. The options are pretty extensive. October is National Outdoor Lighting month, so between now and then is the perfect time to either reset your timer for daylight savings time or call Outdoor Lighting Perspectives of Nashville to learn more about our incredible lighting control automation features at (615) 373 – 0638. You can also email us at: olpnashville@outdoorlights.com. Proper Nashville Outdoor Lighting Can Prevent and Reduce Winter Accidents on Dark, Slippery Surfaces. 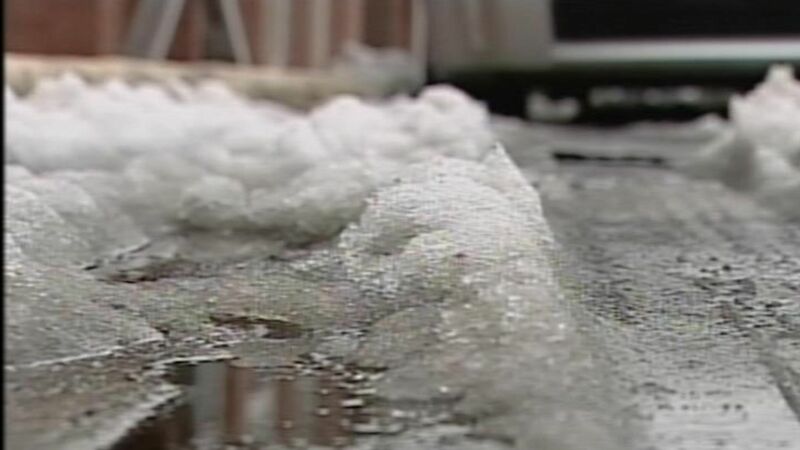 Icy surfaces can create danger around your Nashville home. In recent weeks much of the country has seen more than its fair share of wintry weather. From snow, ice and sleet to wind gusts that chill to the bone meaning that cold-than-normal winter the Old Farmer’s Almanac predicted has come to fruition! Winter weather can make any type of travel dangerous, whether it is traveling by car to the grocery, or venturing from your home to your yard, freezing conditions can transform a wet surface into an accident waiting to happening very quickly. Icy steps, sidewalks, driveways and paths can turn a trip to the mailbox into a trip to the emergency room, especially when the area is dark! Darkness doubles the chances of an accident on slick outdoor surfaces. Darkness doubles the chances of an accident on slick outdoor surfaces because you cannot visually determine their condition and act. The addition of outdoor lighting around areas of frequent travel will help reduce the chances of getting hurt and will improve the overall safety in, and around, your home during every season. 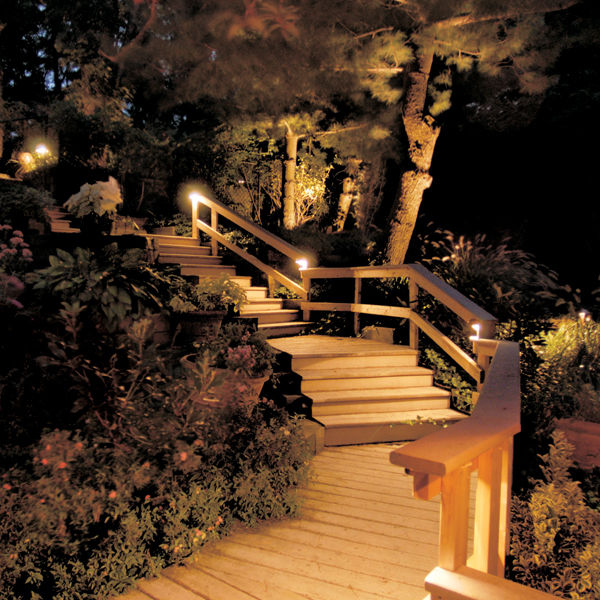 Lighting along these steps is not only beautiful but enhances safety too! 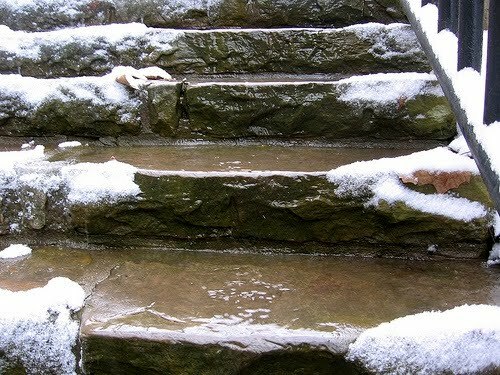 Lighting stairways for safety: Stairs need to be made clearly visible to prevent trips or falls. Outdoor Lighting Perspectives of Nashville focuses on two distinct areas when we add lighting to the stairs around your home. This includes installing lighting on any railing, and installing lighting on the vertical area of the step itself. Both of these methods will help you and your family safely navigate stairs through increased visibility. Notice how this Franklin, TN, home’s entry is clearly visible? Lighting paths for safety: Increasing visibility along paths and sidewalks will allow safe navigation by raising awareness of ice, snow or any object that may be present. This includes limbs or debris that can blow onto paths during spring and summer storms posing a safety hazard. Lighting your home’s entrances for safety: Poorly lit entrance points into your home can post a safety hazard. The entrance itself should be clearly visible in addition to the stairs and path that lead to your door. 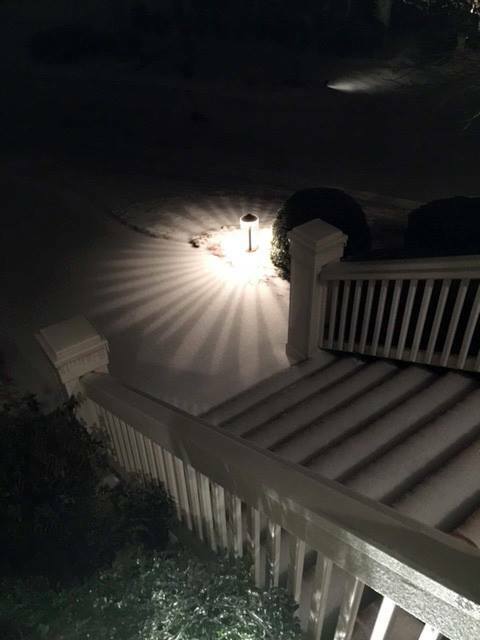 Nashville outdoor lighting in the snow. Lighting the landscape for safety: A well-lit landscape enables you to “see” areas that may require special attention during wintry weather. Landscape lighting illuminates the areas around your home to enable you to stay a well-informed homeowner or the conditions around your property. Lighting timers or lighting control automation can help further safety: Adding timers or lighting control automation will ensure the lights are on when you need them most, every evening, in every season! Celebrating this event couldn’t have come at a better time of year. In case you haven’t noticed, night is making it’s debut earlier and earlier each afternoon as we near the end of Daylight Savings Time on November 2nd. The dark afternoons serve as the perfect catalyst in outlining the beneficial reasons for adding outdoor lighting. LCA will ensure your outdoor lights come on automatically at dusk and off at dawn or the time of your choosing. LCA will allow you to designate zones of lighting, both indoor and outdoor and program these zones to turn on and off automatically so your home always looks occupied. This is a huge convenience when you are on vacation. LCA will allow you to program your lights to come at 50% power with the onset of dusk and progressively increase as the evening gets darker. This feature not only saves energy; it also creates a romantic ambiance in your landscape. LCA allows you to control lights and appliances inside your home to come on automatically as well. We can even place a central keypad to control the entire system at the flick of a switch in any location you choose. LCA can be programmed to gain control from your laptop or even your smart phone. This feature allows you to control your lighting from remote locations for the utmost convenience and versatility. 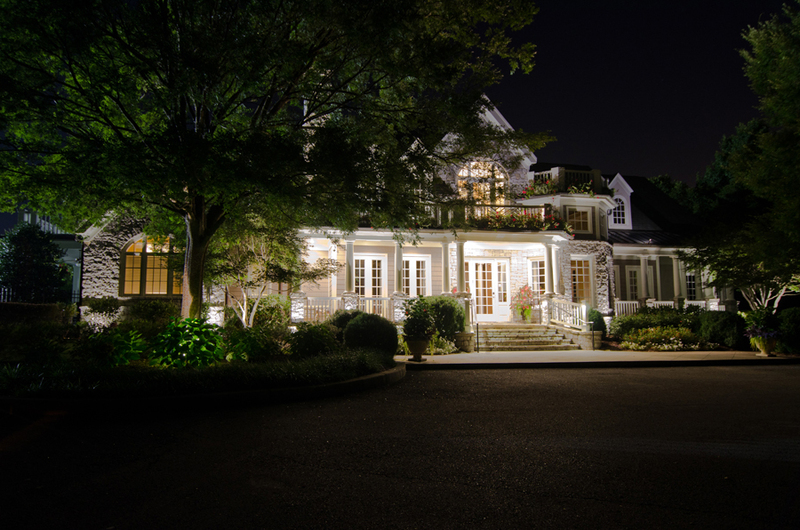 LCA will allow you to illuminate your home and landscape in any configuration and to come on at varying times. The choices are only limited to your imagination. The possibilities are endless when it comes to outdoor lighting, all providing more convenient days and beautiful evenings! 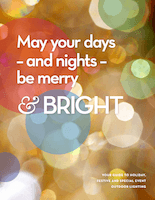 You can visit http://www.outdoorlights.com/national-outdoor-lighting-month/#guide to request a free outdoor lighting guide to gain valuable tips and learn about the latest LED holiday and event lighting trends and much more! 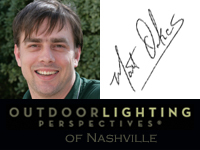 Email: olpnashville@outdoorlights.com to begin your journey to outdoor lighting bliss! With our smart phone technology, the lights are on when you need them most. In a world that now relies heavily on smart phone technology comes a new way to take control of yet another facet of your life with the touch of a button. Smart phones have changed our entire world, from leading us to our destination on time, to locating a 4 star restaurant in an unfamiliar town, and letting us enjoy a new game at our leisure. Now your smart phone can offer you remote control over your indoor and outdoor lighting while you are away on business, vacation or just out to dinner. Just when you thought the smart phone couldn’t get any smarter Outdoor Lighting Perspectives of Nashville offers homeowners the convenience and peace of mind of having your home and landscape lit when you need it most. We use lighting control animation (LCA) which offers our lighting customers access to a downloadable application that is available through your laptop, smart phone or tablet. 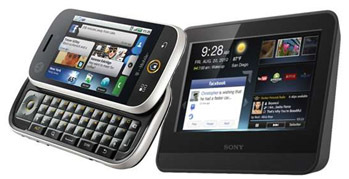 The technology has remote control associated interface with the mobile application. Users can easily gain access via a username and password, and voila, you have complete control in the palm of your hand. Control your lighting with your smart phone, network your lights!!! Have you ever found yourself in this scenario; your teenage daughter is due home at 10 pm and you and your wife are out to dinner spending a lovely evening enjoying good food and each others company. Your outdoor lights are set to turn off at 11 pm, which gives your daughter plenty of time to come home with you residence in a well-lit. At 10:30 you receive a call from your daughter that she and her girlfriends are stuck in a traffic jam next to the shopping mall they are departing from. Traffic is backed up for 2 miles and she is calling to let you know she is going to be quite late. You feel compelled to cut your dinner short and head home to make sure your daughter is received by a lighted driveway, entrance, landscape and interior. Never fear, your smart phone is here! With the touch of a button you schedule your lights to stay on until you arrive home. Take a deep breath and enjoy some desert, your smartphone paired with our LCA technology gives your peace of mind in an uncertain world. Home sweet home is ready for your arrival with our expanded technologies especially for lighting. This technology comes in handy when the unexpected happens such as missed curfews and loved ones that are running just a little off schedule. Our automation also enables homeowners to link their indoor lighting into the automation as well, which means turning the interior lights on to give the appearance that somebody is home, is easier than ever. No more worrying over leaving your loved ones in the dark again. A mesmerizing holiday outdoor lighting display that inspires you is unforgettable. The holiday season is now in full swing, and many homeowners have their homes, lawns and landscapes adorned with awe-inspiring outdoor holiday lighting. Many people only choose to illuminate their home and landscapes for the holiday season, foregoing a chance to capture the ambiance and feeling that year-round outdoor lighting can add to your most precious of investments. Outdoor Lighting Perspectives of Nashville is here to make your property more magical each and every evening, not just during Christmas, with outdoor lighting. The addition of lighting a specific location focuses your eye on that location and makes it the focal point. Much the same can be said about professional outdoor lighting. Outdoor lighting can be used to define the lines, architecture, and nuances that make your home’s beauty and unique characteristics shine through. Well designed and placed outdoor lighting can make your home even more stunning in the evening than it is during the day. Landscape and garden outdoor lighting can make your backyard and landscape appear to be a lush outdoor oasis, giving rise to beauty not seen in the light of the daytime. Expertly designed and executed outdoor lighting can give the appearance of light dancing from one beautiful focal point to the other. Along with the beauty that comes along with having professional outdoor lighting, there are other benefits as well. 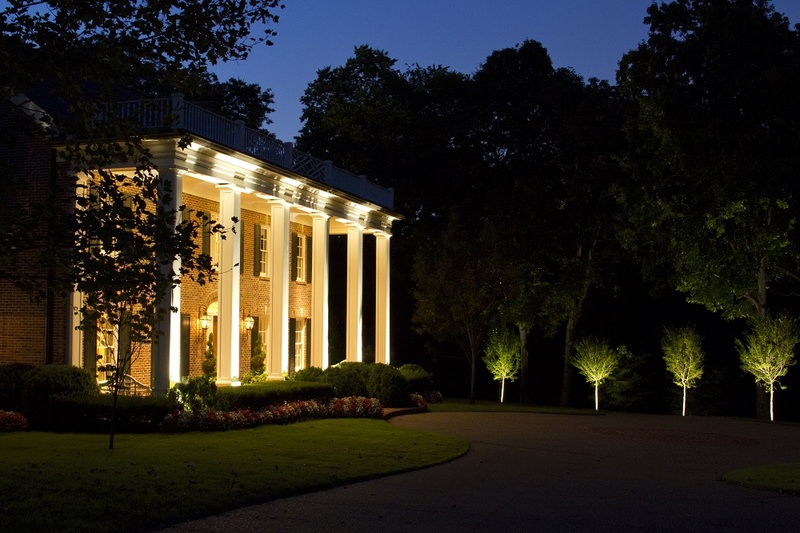 Nashville Outdoor Lighting - Architectural Outdoor Lighting can create ambiance year round. In many homes across Nashville, the homeowners have access to a virtual playground in their very own backyards. From pools and luscious spas that offer a place to renew your soul, to gorgeous patios and outdoor porches that serve as gathering spots for your family and friends. Without proper outdoor lighting these extensions of outdoor living and recreation cannot be enjoyed to their fullest extent. A well-lit outdoor entertaining area, or pool and spa area means that you can enjoy the fruits of your labor into the evening without the stress of looking at the clock. Your backyard will not only be well illuminated, adding the element of outdoor lighting to areas such as pools and spas creates an ethereal ambiance that only beautiful lighting can provide. 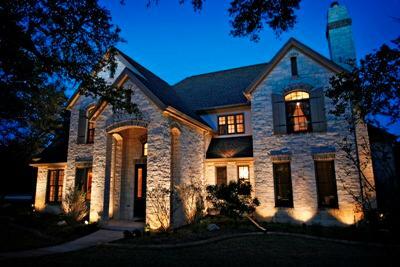 Outdoor lighting also paves the way to more fun and playful opportunities to enjoy your landscape in the evening. With outdoor lighting the gang can throw the pigskin around during halftime on that Monday night game and not have to worry about tripping over your prized rose bushes or passing it in the dark. 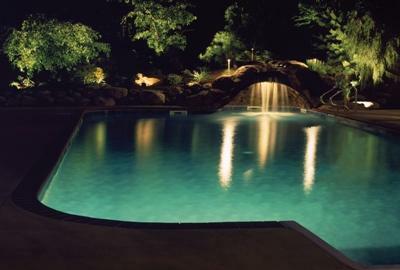 With outdoor lighting your outdoor activities can extend well into the evening and expand your outdoor living enjoyment. Having the added benefit of a safer home is also great incentive to install outdoor lighting at your home year round. Not only does a properly lit sidewalk welcome guests to your door with hospitality, it also reduces the risk of falls due to low visibility. A well-lit exterior also lessens the risk of a robbery or break in. Our outdoor lighting can be programmed to operate on a regular schedule to ensure you are never left in the dark. In the same token, that same lighting control automation technology we use to program your outdoor lighting timer can also be programmed to give the appearance that someone is always home – even if you are on vacation in a tropical paradise thousands of miles away. Our lighting control technologies can be accessed by a simple touch of a button via your smart phone. Safety, convenience and peace of mind are just a few of the benefits of having professional outdoor lighting. After all the tinsel, trees and holiday lights are taken down for the holidays and stored away for next year’s holiday season, don’t pack away your home and landscapes beauty until Christmas is here again, now that you’ve seen your home in lights, you can have this type of magic all year round. Even if you have not had the experience of adorning your home in holiday illumination, you have certainly seen the impact it makes on the homes and landscapes within your neighborhood. 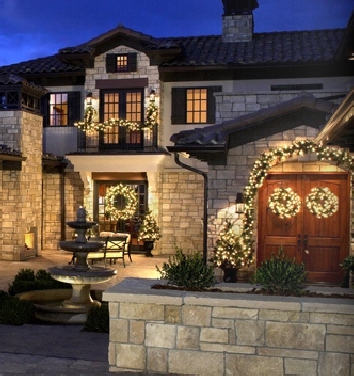 In many scenarios you may have seen holiday lighting done incorrectly on homes around you as well. Our lighting is always outdoor lighting done right, all year-long. Contact Outdoor Lighting Perspectives of Nashville today to add the beauty and mystique of outdoor lighting to your little slice of heaven. Help Us Hearken Spring 2019 at The Nashville Lawn and Garden Show!